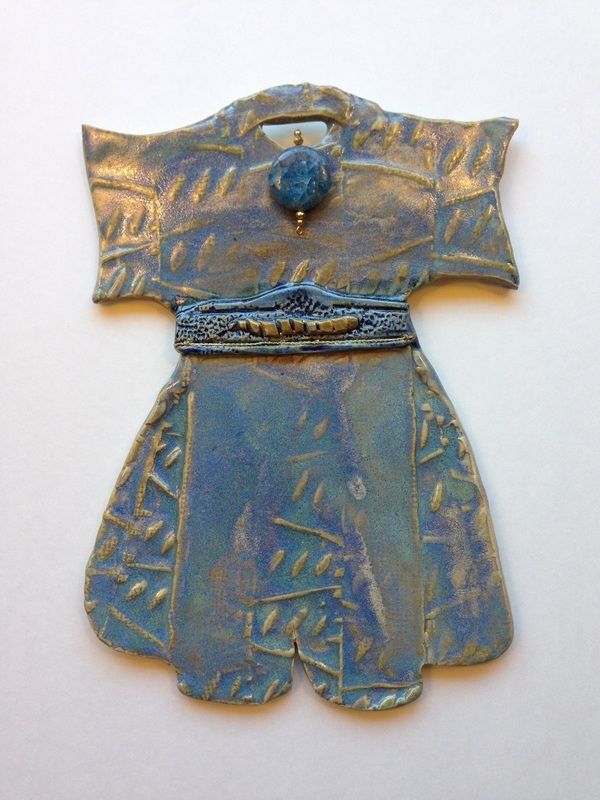 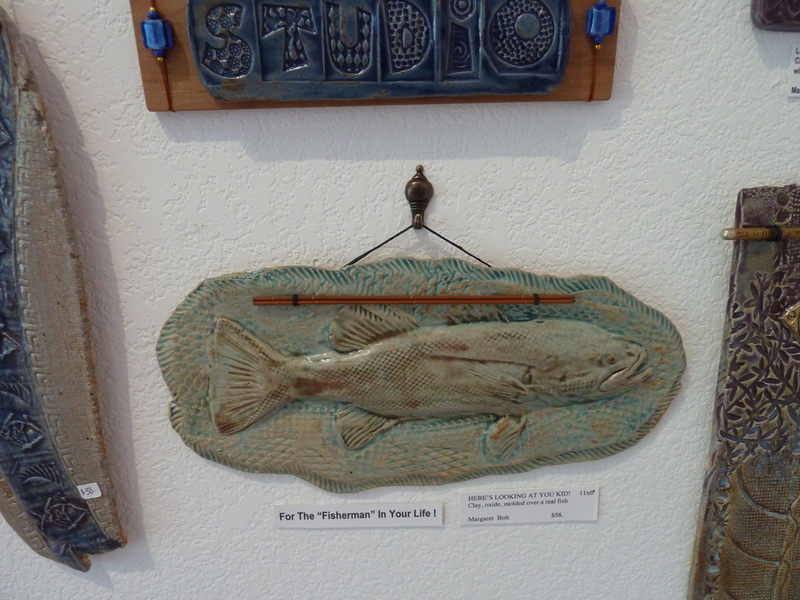 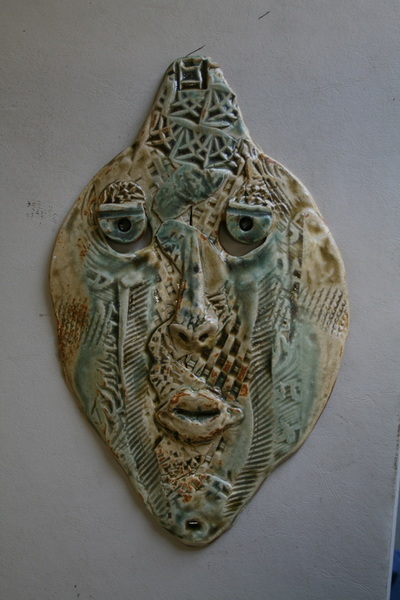 As with her other work, Maggie’s hand-built clay is multi-faceted and internationaly influenced. 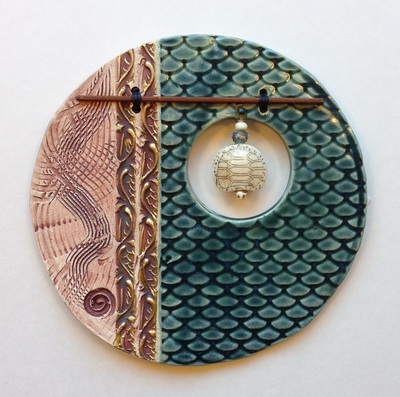 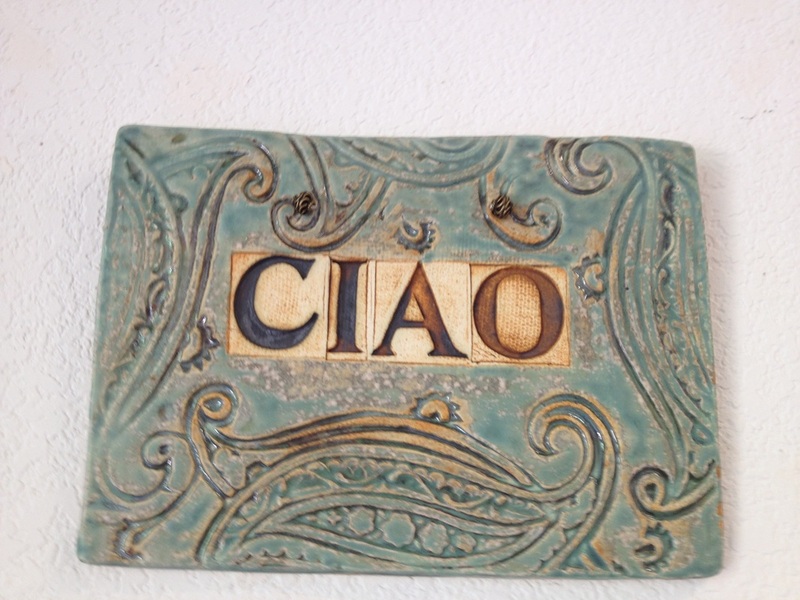 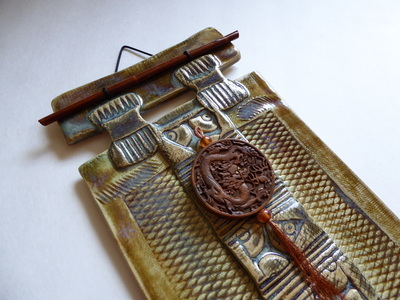 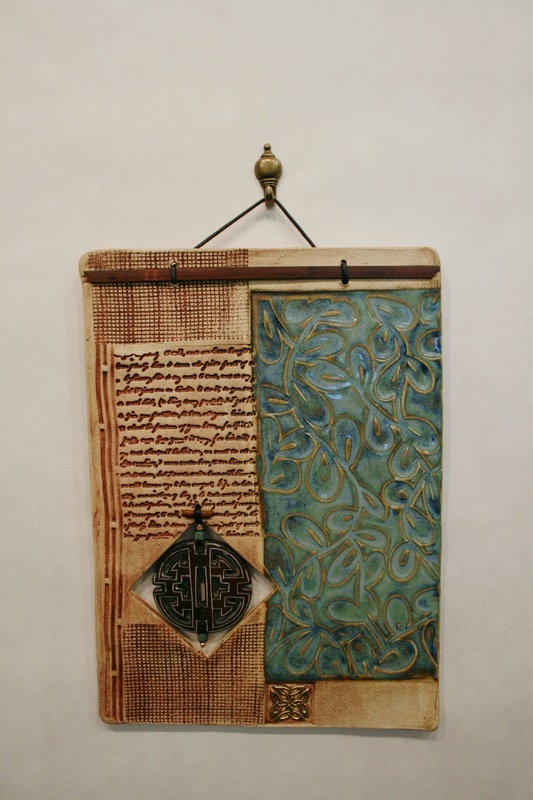 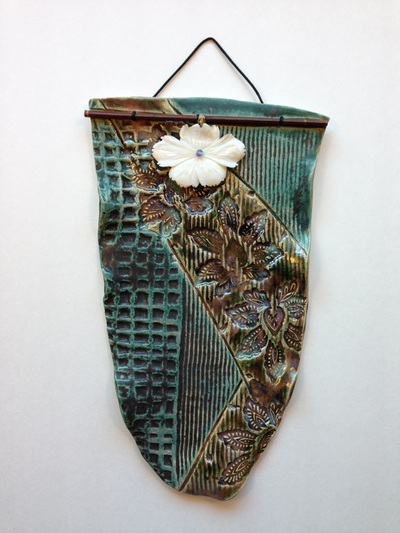 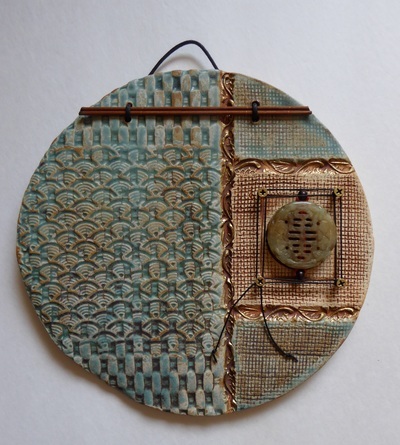 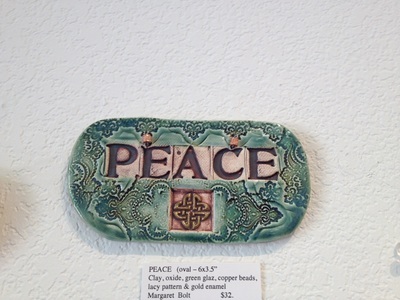 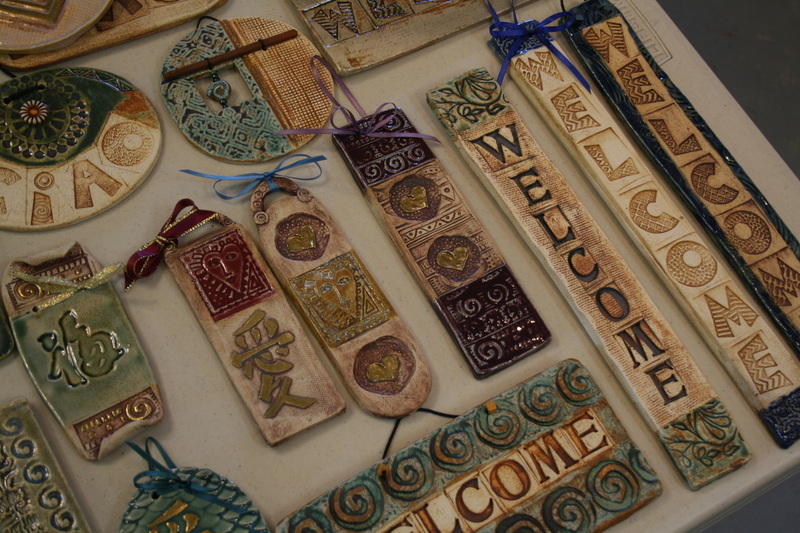 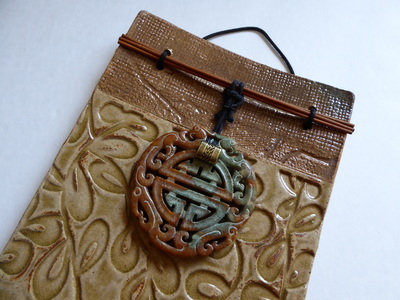 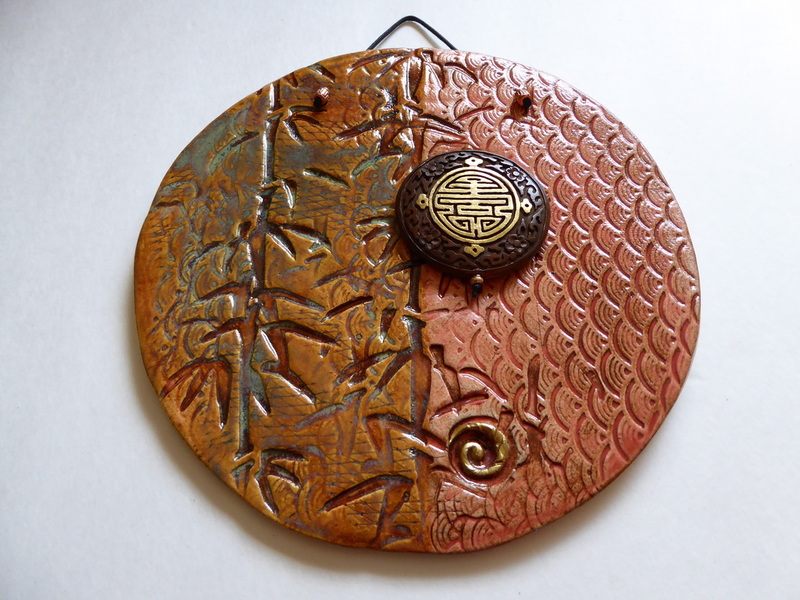 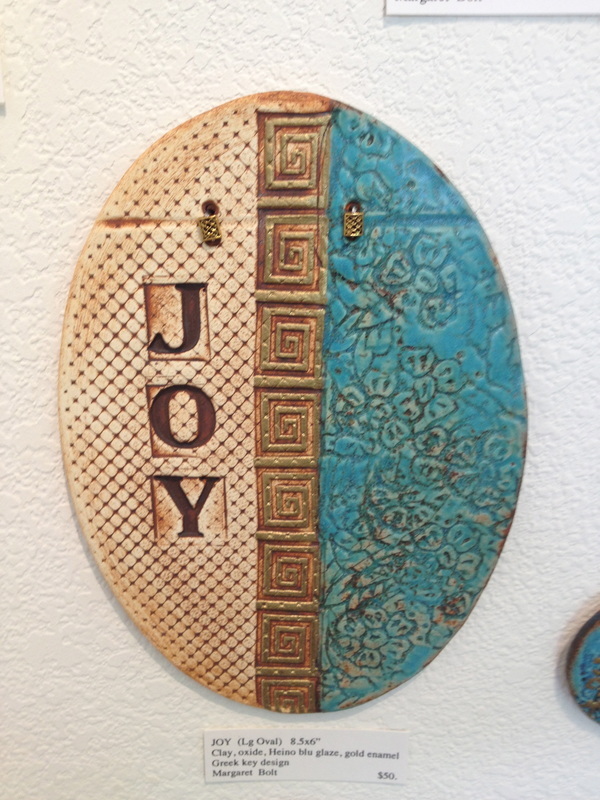 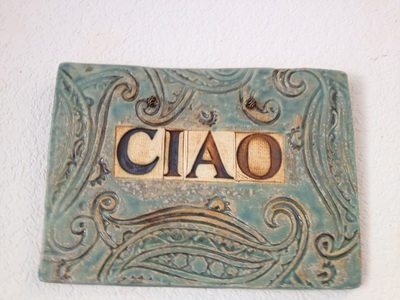 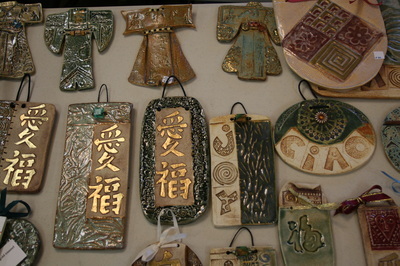 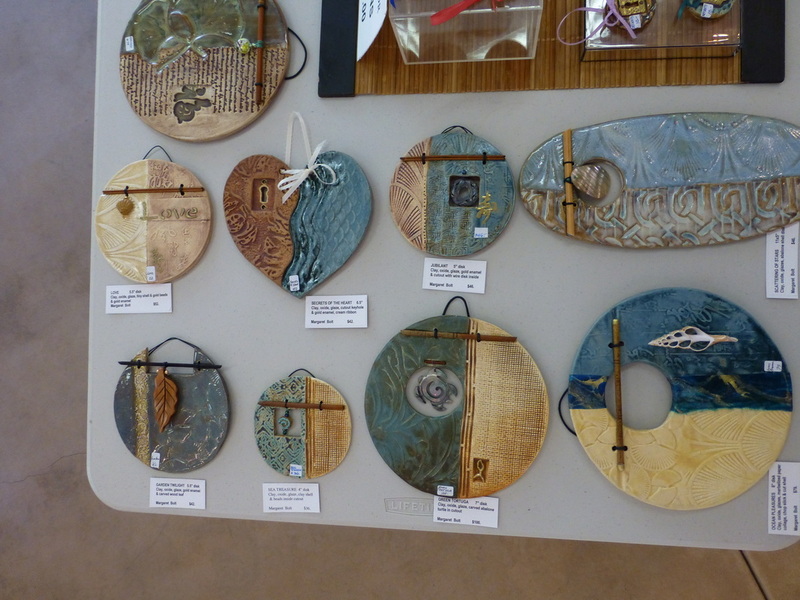 Her most popular product lines include ceramic wall hangings that are a great alternative to framed art, especially for moist places like bathrooms, porches or kitchens. 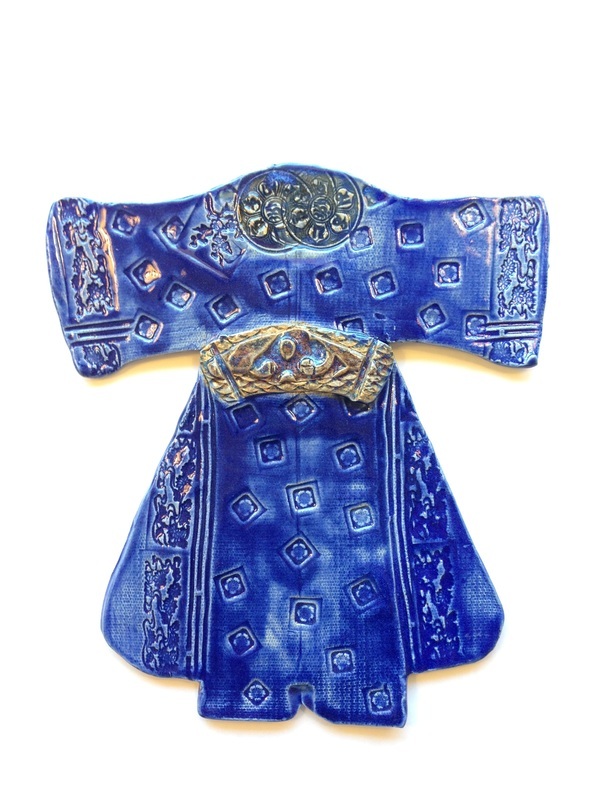 Her imagery includes many Asian and African themes, like masks, disks, kimonos and cloaked figures that are both masculine and feminine. 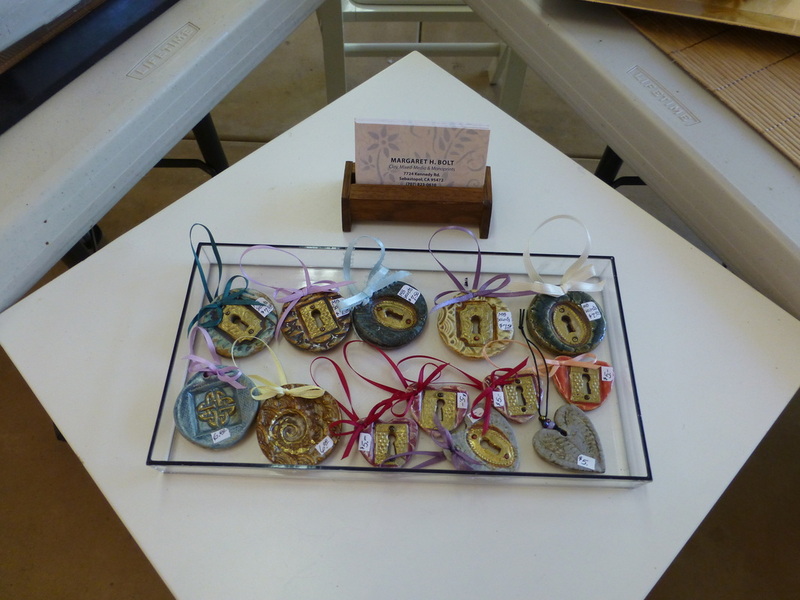 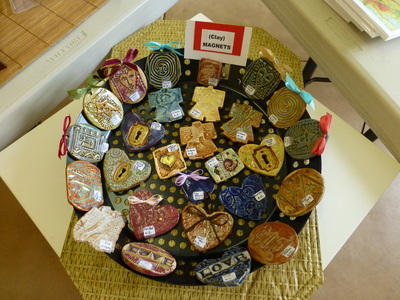 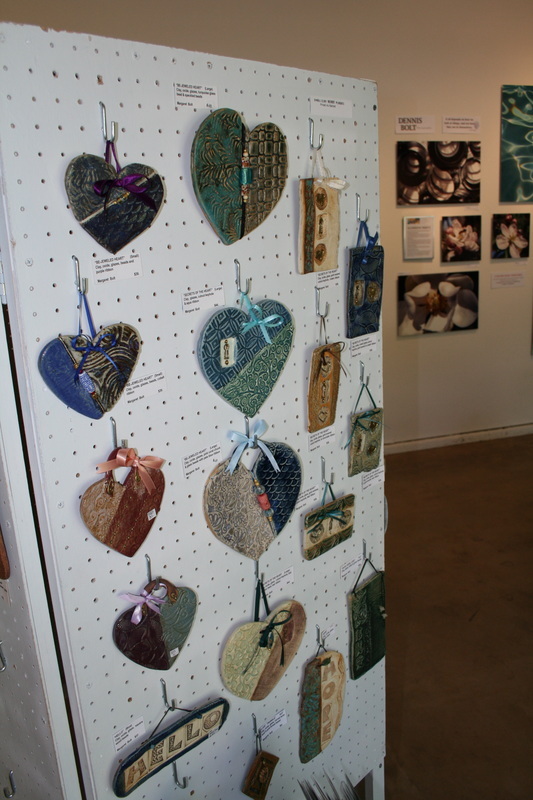 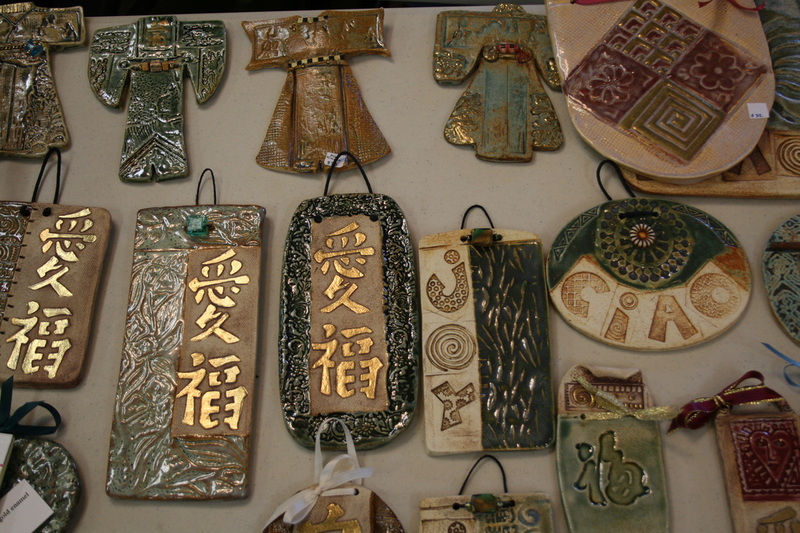 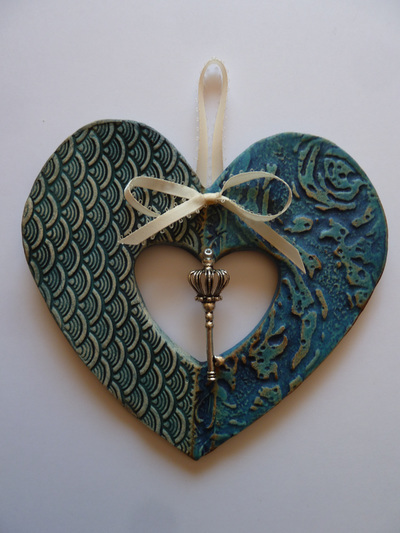 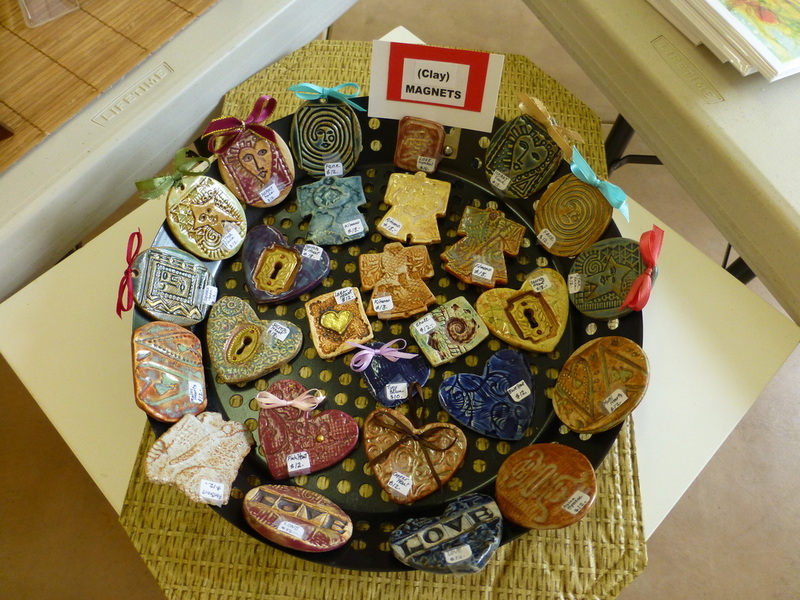 She also crafts small ceramic pendants and hearts.